I was born in England near Canterbury. We then moved to Scotland where I spent my childhood living in a small village. I was always listening to music and drawing and inspired by the landscapes around me and loved the sound of Bagpipes. Your first band was ‘Turnstyle’, right? You released a single called ‘Riding a Wave/Trot’. Tell us something about that experience! My first Band was when i was 12 with my older brother on guitar we called ourselves THE VIKINGS. A few years later we called ourselves THE CORVETTES. We supported many big bands including The Rolling Stones The Pink Floyd and the Yardbyrds Etc. At 16 I wanted to compose songs but i didn’t know how, so I took a Shakespeare Sonnet and applied a melody I was happy with! 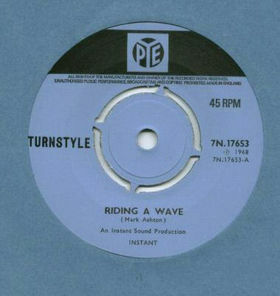 One year later I composed Riding a Wave and Trot, we recorded the songs for Pye Records. I named the Band TURNSTYLE. We went to Hamburg and played 3 weeks at the Famous Star Club the same club the Beatles played. Next you joined ‘Rare Bird’ at age of only 17. Tell me, how did you guys got together and what are some of the memories from the early sessions you had together? 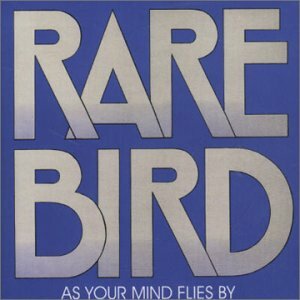 I joined Rare Bird when i was 19 and living in London. My good friend Dave Kaffinetti who later played the part of Viv Savage in Spinal Tap invited me to audition for the band as they could not find a drummer. So I eventually did and was so impressed with their sound I joined the same day. Why the name ‘Rare Bird’? I suggested to the Band that we contact the manager of The Nice Tony Stratton Smith. Tony came to hear us play and signed us to his new label Charisma Records. We didn’t have a name then so I asked Tony to come up with a name using Bird. Hence Rare Bird. In 1969 you released your debut. I would like to know where did you record it? What are some of the strongest memories from producing and recording your LP? What gear did you use? What can you tell me about the cover artwork? We recorded our first record at Trident Studios in London. Trident was a famous studio. The Beatles recorded Hey Jude there. International Hit Record in 1970 so we were very busy boys. Artwork for the album no idea, but the American cover was better! Yes, it was more experimental. However due to constant touring in Europe we had little time to compose. But there were a few little gems on that record!. The Title was my idea!. Shows you were I was at? Tell me about touring. Where did you tour and what are some concerts, you are the most fond of and have stayed in your memory? Touring was mainly in Europe. We played many big festivals and constantly appeared on TV because of Sympathy. We also had a short tour of America. I loved the festivals in the South of France, always hot and beautiful landscapes. Do you perhaps have any interesting stories to share regarding ‘Rare Bird’? Well we got on most of the time, but we disagreed about our direction. I wanted to focus on Europe but the others wanted to concentrate on the UK. This led to the parting of the waves for me, so I left. Next you went to ‘Headstone’. I would love if you could tell us more about it? 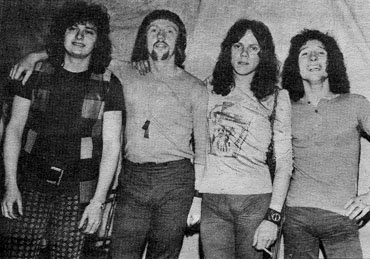 I formed Headstone in 73 with a Great guitarist called Steve Bolton. 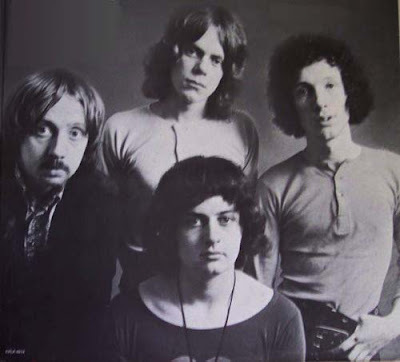 Steve used to play with Atomic Rooster. I had signed a contract with Trident Productions who had already signed a new band called Queen. I hired a great Bass player called Philip Chen who later went on to play with Rod Stewart. We recorded with the same Producer of Rare Birds 1st Album John Antony. Headstone made 2 Albums for Trident EMI. I recorded my first Solo Album in LA IN 76 with Producer Chris Bond who produced Hall and Oats then Jeff Beck. Later another album in the UK, Mark Ashton Solo. I moved to New York in 80 and was signed by Leiber and Krebbs a big management company who represented Aerosmith and Ted Nugent etc. I worked with them for 2 years then became involved in making Music Videos of my music. 3 years later I moved to Los Angeles and secured a contract with Sanctuary Management. I had a new band consisting of Bob Birch on Bass Guy Babylon on Keyboards both who went on to play for Elton John. Guitarist Mandy Meyer who had played with Asia, Mark Adams also guitar and John Valen on Drums. I made my last album for RCA called Modern Pilgrims The Album was called ASHTON. 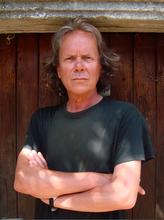 Paul Rothchild Producer of the Doors and Janice Joplin Produced the record unfortunately it was not a commercial success so I decided to head back to Europe where I became a song writer for Sony Music in Paris. Thank you very much, Mark! Would you like to share anything else for It’s Psychedelic Baby readers? After my Paris experience I became very intrigued with painting. I was back in New York and very inspired by the Impressionists For a few years i painted in that style. Then Hallo Spain and the Surrealists. Spain was a great experience. The light always great for painting and I developed my style. I now live in Nice France and would describe my style as Musicalism, because of the rhythm in my work. After a long break with music i have now started to play again performing around Nice with some very competent musicians including a Japanese backing vocalist and an American Harmonica player also Drums and Guitar. Sounding Great!!!!!!!!! I have taken my best old songs and re-arranged them plus some new works. Hope all of you who read this interview enjoy! I've enjoyed all of Mark's music - Rare Bird, Headstone and solo. He's an excellent songwriter, such a shame he didn't get to record more music through the years. was never sure if it was Mark's band or the same named band from Canada. I'd love to know because whichever band it was, they were absolutely brilliant. 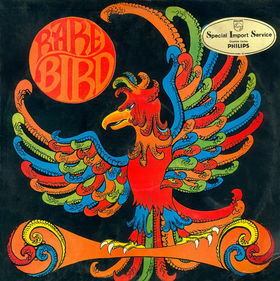 Always loved the early Rare Bird LPs. I did own Mark's first solo album and will definitely check out his other work. A very talented man. I listened to the Rare Bird albums so much in the early 70s that I wore them out. They were SO awesome. Especially loved Mark Ashton. Would love to be able to send him a message now, if there is any way possible.